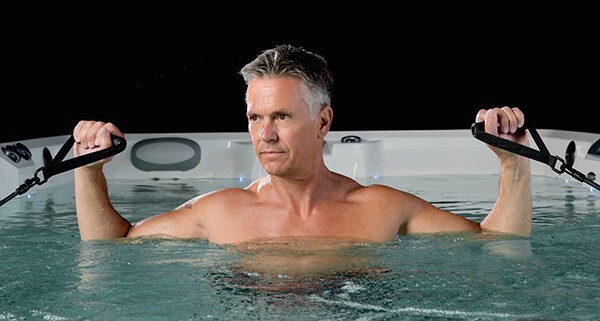 Marquis® knows hydrotherapy. 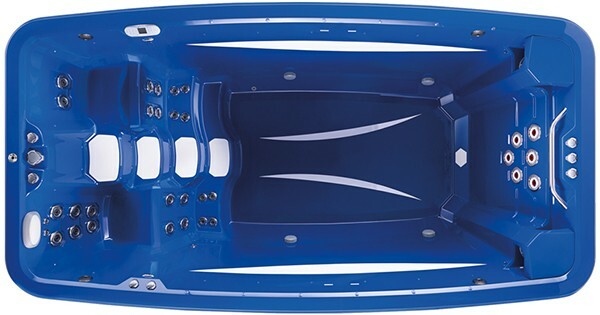 With a reputation as a proven leader in hydrodynamic performance and after four decades in the industry, Marquis® has engineered the ATV™ Swim Spa. A top-of-the-line sports therapy and a true aquatic training vessel for all athletes, the ATV takes traditional swim spas to the next level. 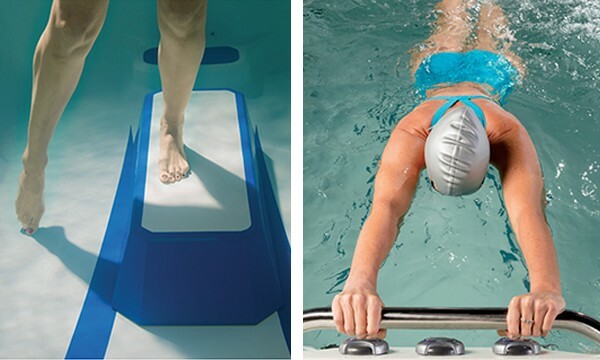 Its bowed sidelines and a unique range of pumps and jets deliver a water flow you can customize for optimized aquatic workouts and maximized training performance. 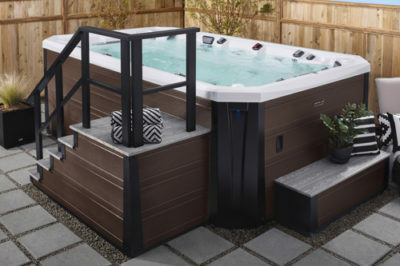 Customize your Marquis® swim spa with hot tub accessories available at our Doylestown, Bucks County showroom convenient to Warrington, Warminster and Newtown, PA and surrounding areas! Bucks County Hot Tubs has a Marquis® swim spa model to suit everyone, regardless of your training goals or fitness level! The innovative ATV-17 Kona Swim Spa provides the competitive training edge you’re looking for! It has six Whitewater-4 dual-speed jets to give you the most rigorous aquatic workout of your life. This 17-foot-long, 53-inch water depth capacity vessel will boost your aquatic training. The ATV-14 Sport offers swim workouts and strength and rehab conditioning exercises with low-impact on your body. You have the ability to get an intense aquatic workout with the hydrodynamic flow behind the 6 dual-speed turbo jets. If you’re a water enthusiast who wants a less intense swim, stretch, soak, or splash then the ATV-14 Splash is the vessel for you! 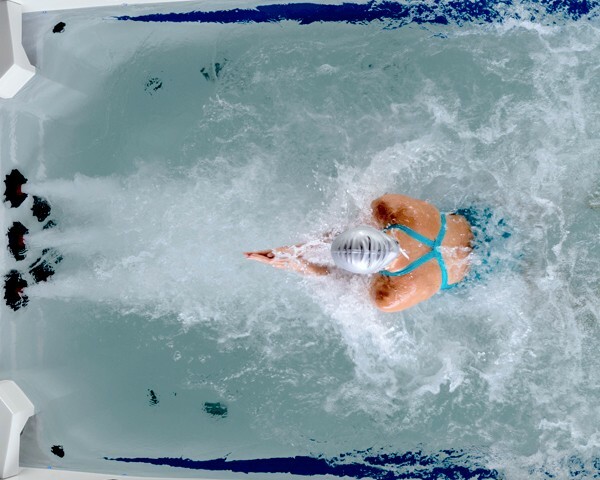 The Splash operates off of a single dual-speed pump for a more relaxed flow and is equipped with a single swim tether point and a resistance rowing option. Not every swim spa emphasizes workouts and swim stroke development. Some are designed for more social interaction and fun. Maybe it’s party time with your friends. Maybe it’s special time with the kids. 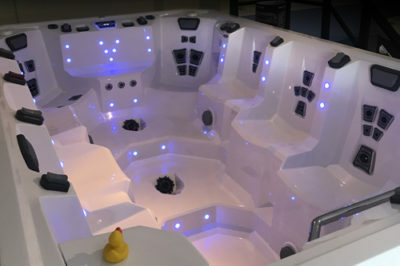 So maybe a lap pool and a hot tub got together and had a baby…Welcome to the V150 Swim Spa & Party Vessel! 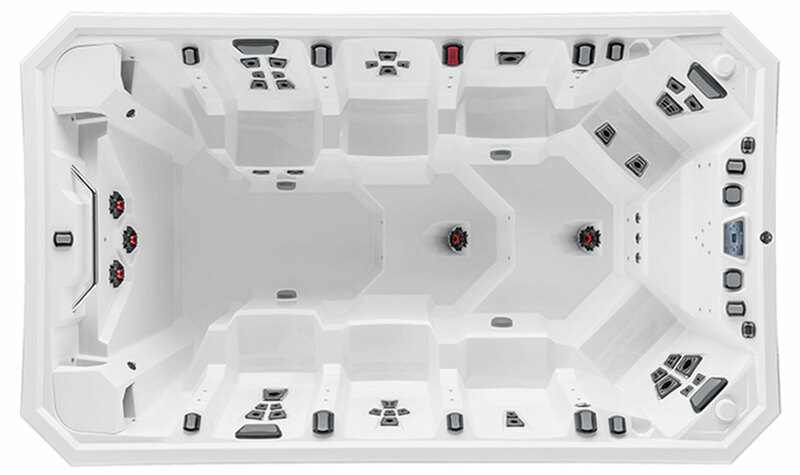 Visit Our Showroom for a Test Soak in the V150 Swim Spa & Party Vessel Today! 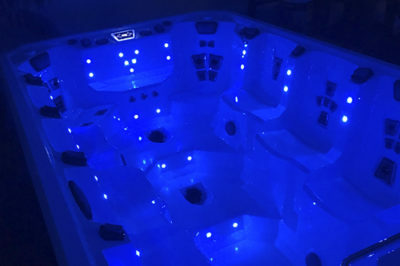 Contact Bucks County Hot Tubs for info on how you can own an American-made Marquis Aquatic Training Vessel™ (ATV™) Swim Spa! Bucks County Hot Tubs has your Swim Spa! Whether you want to swim, splash or train, you’re sure to discover the best ATV Swim Spa to fit your individual lifestyle at Bucks County Hot Tubs! For the best swim spa for sale in Bucks County, PA, visit our Bucks County Hot Tubs showroom and take a test soak today! Our Swim Spa showroom is conveniently located in Doylestown, only minutes from Warminster, Warminster and Newtown, PA. Get directions.